Found on the dollar’s reverse is a one-year-only design honoring the contributions Native Americans have made to the U.S. Space Program. Available products include 25-coin rolls ($25 face value), 100-coin bags ($100 face value) and 250-coin bags ($250 face value) with options of circulating dollars struck at the U.S. Mint facilities in Philadelphia or Denver. 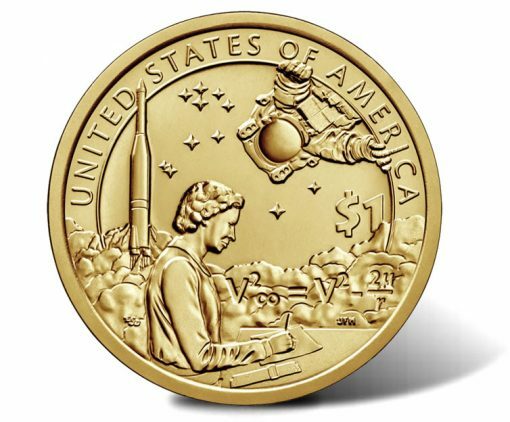 Space is a fitting theme for this year’s dollar as the U.S. Mint already released 2019 Apollo 11 Commemorative Coins celebrating the 50th anniversary of the first manned Moon landing. 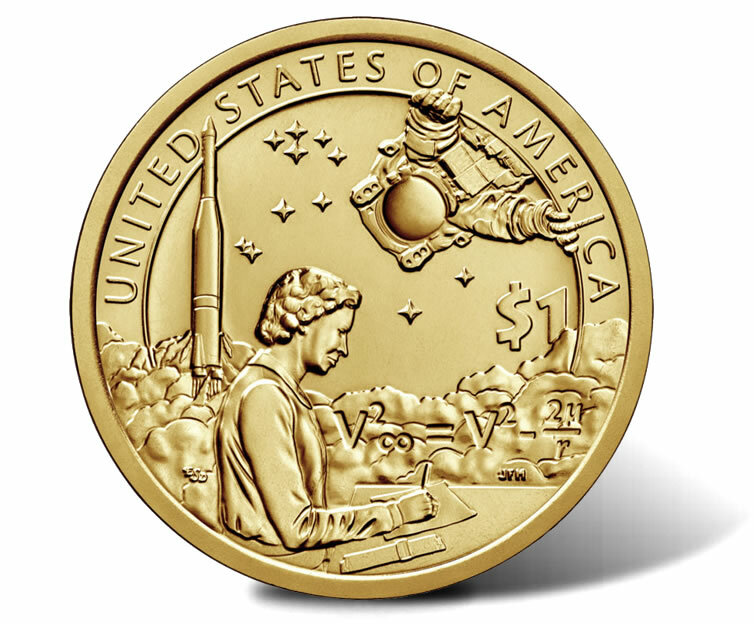 Its design depicts renowned engineer Mary Golda Ross working on aerospace calculations. Behind Ross, an Atlas-Agena rocket is seen as it might have appeared launching into space with an equation inscribed on its exhaust cloud. The design also includes the image of an astronaut, symbolic of Native American astronauts, including John Herrington, spacewalking above Ross. Stars reflecting outer space complete the design. Reverse inscriptions include "UNITED STATES OF AMERICA" and "$1." U.S. Mint Artistic Infusion Program designer Emily Damstra created the design and it was executed by U.S. Mint Chief Engraver Joseph Menna. Found on the obverse (heads side) is Glenna Goodacre’s image of Sacagawea carrying her infant son, Jean Baptiste. Obverse inscriptions read "LIBERTY" and "IN GOD WE TRUST." Edge inscriptions on each coin indicate the year, mint mark, and "E PLURIBUS UNUM." ‘P’ indicates coins produced at the Philadelphia Mint with ‘D’ for those struck at the Denver Mint. All of the dollars are produced to circulation quality and taken directly from the production floor. 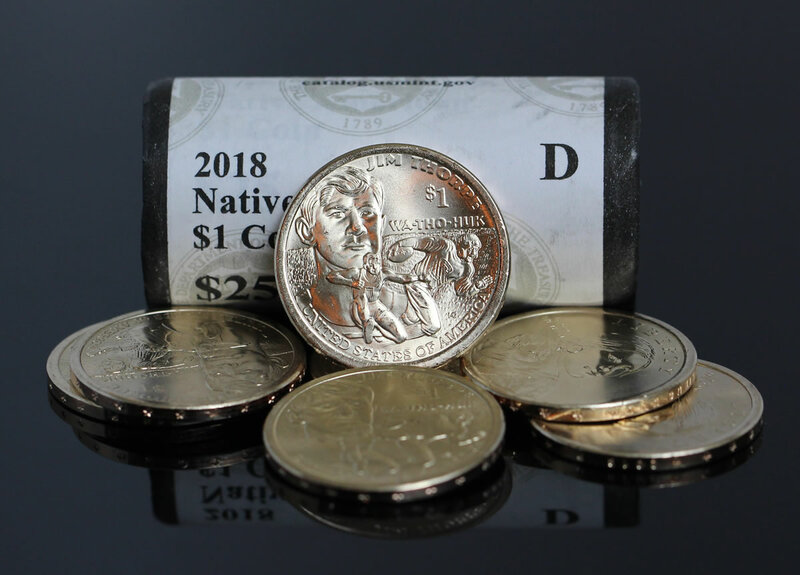 Order 2019 Native American $1 Coins directly from the U.S. Mint by visiting its online catalog page for Native American $1 products. Phone orders are accepted by calling 1-800-USA-MINT (872-6468). No mintage, product or household limits are in place. Mintages have been trending lower with 2011 being the last year the coins were actually issued into circulation. (They are now produced solely for coin collectors.) The table below shows mintages since the series start in 2009. The Native American $1 Coin series was authorized by Congress under Public Law 110-82. Terms of that law require annually changing reverse designs emblematic of the contributions Native Americans have made to the history and development of the United States. Really 2017 only 3.36M minted, will this one rising price on future ? Elizabeth Warren posed for the reverse,they will go fast like her to nowhere!!! Watch out Sammy boy, they said that about Trump!! Will his $1 have an 0range jumpsuit?? The reverse is like a walk in Hong Kong, so CrOWDED – the front, is like a blank sheet, no DATE!! a schitzo design……. 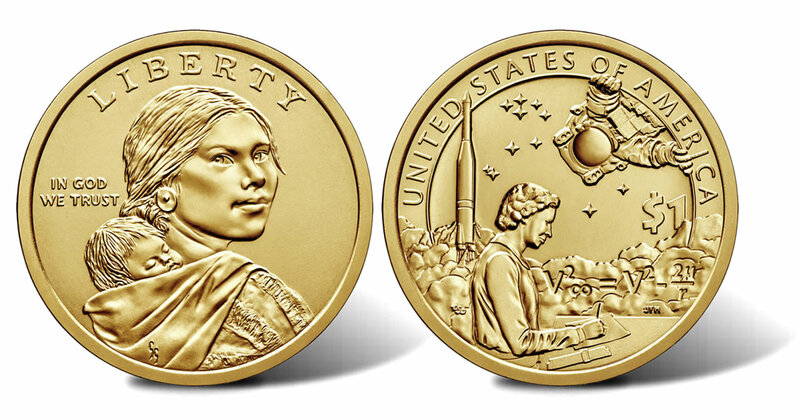 I’m looking forward to the Native American Dollar coin and currency set that is due to be sold this summer by the US mint. By the way, Sam, that was funny about your comment on Elizabeth W (aka Pocahantas). And Chas Barber, President Trump is fighting hard daily to keep you and I free, brother! He is the LAST person that needs to be wearing an orange jump suit! I will agree with one thing you said…The 2019 Native American dollar’s reverse is poorly designed. Peace Out and happy coin collecting, brothers and sisters! @Parker…Trump needs all the support we can give him. The wall needs to be built, and his military tribunals are exactly what we needed. I had a sign out on my front lawn for years that said “Hang all the traitors to the US Constitution”. I guess he got the message. LargeNuggets… Yes, sir! The president has my full support. So far, he has earned that support big time (or bigly)! CB, the president has certainly read our country’s Constitution. In my opinion, his actions as president prove that. You are as passionate about your political views as I am mine. We may may disagree in how we perceive the current political environment but we are both Americans. And we should freely voice our beliefs and concerns. Thanks for the feedback! Now, your viewpoint to cease making cents (pennies) does make sense! However, it’s still fun to occasionally get a wheat cent or another neat cent in change. Good that it will be in a new coin and currency set that will come out this summer.